James Bond - The Secret Agent: What's hot, and what's not, in London? On Wednesday this week me and my wife are heading for Great Britain and London for a few days of rest from the two craziest kids alive. 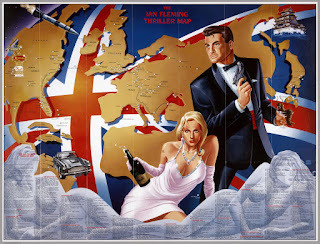 Since we are going to London I might as well look up some James Bond related sites that would be nice to have seen in person. On Thursday I have a planed cocktail with my dear friend Peter Lorenz at Illustrated 007. A book shop I need to visit is the Peter Harrington book shop that specialize in rare books. Then I wish to go over to Notting Hill and take a quick look at Number 1 Stanly Cresent which is the address where Bonds apartment in SPECTRE was filmed. On Saturday I have a trip to Tunbridge wells planed to meet up and have lunch with Peter Burt who runs the James Bond : COLLECTING JAMES BOND TOYS and MEMORABILIA Facebook page. After that we will go and visit the book store James Bond first editions. 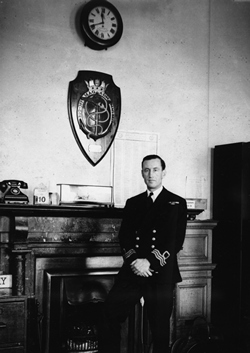 Sadly I dont believe the time will be enough to take another small journey to go to Swindon to pay respect at Ian Flemings family grave but I would love to go and visit Room 39 at the Admiralty where Ian Fleming worked during the second world war. Does anybody know if this might be possible and where it is? I'm am not sure if I will go and see the Bond in Motion exhibition. If I have some time lift I might go there. As I said I am travelling with my wife so in all this James Bond travelling I will need to make sure that she dont get upset. Also, everybody says you can do the exhibition in 20 minutes and I have already seen many of the cars at other events. 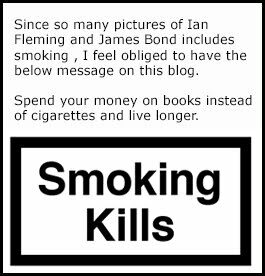 Most of all I would like to go and visit Ian Fleming Publications. I am so curious to how they work and the people working there. Sadly they do not take any visitors but who knows what will happen in the future. I will only have to work harder on this blog to one day make them invite me. Now I am wondering what you think I am missing out on? What is your golden treasure in London that I should not miss. Please give me suggestions on anything Bond related or other. But bare in mind that I do need time to take care of my relationship. As the saying goes. Happy wife, happy life!